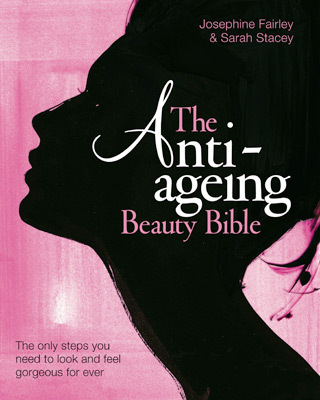 In this latest in their bestselling Beauty Bible series, health and beauty experts Josephine Fairley and Sarah Stacey bring together everything a woman needs to know about feeling great, looking gorgeous and being fabulous, whatever your age. Chapters include guidance on skin, hair, make-up, hands, feet and nails, sleep, exercise and much more. There are top tips for taking off ten years in minutes as well as the secrets of inspirational older women. And of course Jo and Sarah's trademark 'tried and tested' reports on scores of health and beauty products - reliably tested by over 2,000 women. Packed with insider info from the world's leading experts, this is the bible for the older woman, showing you how to look, feel and be fabulous - forever. Sarah Stacey is an award-winning journalist and TV producer. She is currently Health Editor of the Mail on Sunday YOU Magazine. Josephine Fairley is a contributing editor to the Mail on Sunday YOU Magazine, where she writes on beauty and organic living. She also writes on beauty for Tatler, Elle and Here's Health. Together they have written The 21st Century Beauty Bible, The Handbag Beauty Bible, The Green Beauty Bible and Beauty Bible Beauty Steals.